Originally published in Creation 14, no 4 (September 1992): 44-45. Dr David Pilbeam came to the attention of the scientific community as being an objective scientist when he wrote an article for Human Nature magazine, entitled, ‘Rearranging Our Family Tree’. Dr David Pilbeam, of the Boston Natural History Museum, has considerable expertise in palaeoanthropology (the study of fossil man). He came to the attention of the scientific community as being an objective scientist when he wrote an article for Human Nature magazine, June 1978, entitled, ‘Rearranging Our Family Tree’. In that article he reported that discoveries since 1976 had shaken his view of human origins and forced a change in ideas of man’s early ancestors. Dr Pilbeam’s previous views were wrong about tool use replacing canine teeth, evidence for which was totally lacking. He did not believe any longer that he was likely to hit upon the true or correct story of the origin of man. He repeated a number of times that our theories have clearly reflected our current ideologies instead of the actual data. Too often they have reflected only what we expected of them. In an interview with Luther Sunderland, Dr Pilbeam elaborated on the subjects he had discussed in his 1978 article. Currently, he was teaching a course that covered primates and was also doing field research in Africa and Pakistan. He was advising the Kenya Government on the establishment of an international institute for the study of human origins. His office was near those of anthropologists Richard Leakey and his mother, Dr Mary Leakey, in Nairobi, Kenya. He referred to several more recent publications, a review article in Annual Reviews of Anthropology, and several on his work in Pakistan. Why had he changed his position on human origins? He said it was not due to the discovery of only one particular specimen, but the recovery of various materials made him realize that his previous statements, which had been made so adamantly, were really based on very little evidence. Because they were based on so little evidence, he began to wonder why he had held them so strongly. It made him think about the nature of scientific thinking, and this precipitated a very profound change in his approach to analysing data. He said that many of the statements made in the field of human origins had ‘very little to do with the real data and a great deal to do with unstated assumptions’. He thought this was true not only of his field but, ‘Much of what is said in other areas, I think, is also highly speculative’. the punctuated way and the gradual way. Before the punctuated equilibria theory came along, scientists said emphatically there was only one way. Dr Pilbeam thought it would be very difficult to tell for most mammal groups which alternative was correct, but he thought that some people who disagreed with punctuated equilibria theory did so on philosophical rather than empirical grounds. He emphasized that this was why he had made such a point in his 1978 article that one’s preconceived notions shape the way one perceives data. Dr Colin Patterson, a senior palaeontologist at the British Museum of Natural History, agreed about the lack of fossil evidence connecting man with a lower primate. In answer to the question, ‘What do you think of the australopithecines as man’s ancestors?’, Dr Patterson replied, ‘There is no way of knowing whether they are the ancestors to anything or not.’ The above was largely quoted from Luther Sunderland’s book, Darwin’s Enigm a: Fossils and Other Problems. 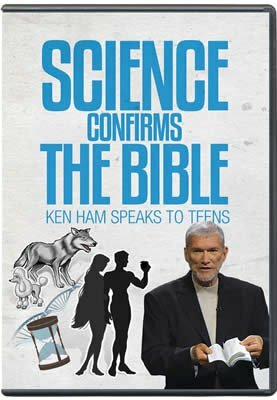 This book takes a refreshingly different line from other creationist books on the fossil problem. Sunderland formally, and in detail, interviewed five leading fossil experts from the world’s major fossil museums. Face to face in a formal scientific discussion, they not only confirm, but also enhance, what creation scientists such as Dr Duane Gish have been saying all along. (For an example, see panel.) Sunderland relentlessly takes the reader on an excursion with the experts to every single major transition-the net result is devastating. Australian anti-creationist palaeontologist Michael Archer is still insisting that evolutionary transition is adequately documented in the fossils. The ‘best of the best’ in the evolutionary fossil camp claim otherwise, in their own words. None of the five museum officials whom Luther Sunderland interviewed could offer a single example of a transitional series of fossilized organisms that would document the transformation of one basically different type to another. Dr Eldredge [curator of invertebrate palaeontology at the American Museum] said that the categories of families and above could not be connected, while Dr Raup [curator of geology at the Field Museum of Natural History in Chicago] said that a dozen or so large groups could not be connected with each other. But Dr Patterson [a senior palaeontologist and editor of a prestigious journal at the British Museum of Natural History] spoke most freely about the absence of transitional forms. ‘… I fully agree with your comments on the lack of direct illustration of evolutionary transitions in my book. If I knew of any, fossil or living, I would certainly have included them. You suggest that an artist should be used to visualise such transformations, but where would he get the information from? I could not, honestly, provide it, and if I were to leave it to artistic licence, would that not mislead the reader? Patterson, personal communication. Documented in Darwin’s Enigma, Luther Sunderland, Master Books, El Cajon, CA, 1988, pp. 88-90.